Keen to find out more details behind H&F’s new housing strategies both Colin Aherne (Lab) and I attended Monday night’s Borough Cabinet Meeting. Unfortunately, there wasn't a lot of detail on offer. We began by asking about changes to social housing. Cllr. Andrew Johnson (Con), H&F’s Cabinet Member for Housing, was quick into the rhetoric and stuck with it throughout. “The new housing allocations measures will allow people on the housing waiting list to stand a realistic chance of getting a new home” he proclaimed. But H&F’s Conservative Administration have actually become infamous for drastically cutting the supply of affordable social housing. There are currently 10,000 households on the waiting list but H&F now only lets just a few dozens of new local properties each year so “what number crunching had his housing officials come up with that meant his use of the word 'realistic' is true?” I asked. Cllr. Johnson gazed back dumbfounded. The looks on his officials' faces expressed a surprising nervousness as it gradually became apparent there has been no serious analysis of the current allocations system or any detailed forecasting of how things will be if changed. Cllr. Colin Aherne tried to find out about the expected numbers of homes available to local residents now that H&F Conservatives were pulling out of LOCATA (which is a mostly West London scheme used for allocating social homes across the area). “Would it be more or less and if so what are the estimated numbers?” he queried. Cllr. Johnson's face went blank and after a few too many seconds had passed he said he thought it would be more but he didn’t have any figures. His officials weren't able to help him either. I then asked about what analysis had led Cllr. Johnson and his cabinet colleagues to pick the round number of £40,000 as a household income limit which would be used in future to block those families earning above it from getting onto the social housing waiting list. That had been the key feature of the publicity the Council had trailed last week. “Why that particular figure?” “How many local people did his estimates say that would affect?” “How had he and his officials specifically categorised those families this is likely to affect?” Did the £40k ceiling have a disproportionately negative affect on any local groups?” - such as families with two working parents - “and if so, how many?” Cllr. Johnson said he didn’t know and joked about plucking that figure out of thin air before admitting that no such analysis had been undertaken on any of that either. There is certainly no number crunching in the Cabinet Report (see page 124 here) or in the impact assessments (see page 12 here). By now almost 25 minutes had passed and Cllr. Mark Loveday, H&F Conservatives’ Whip, could see the hole Cllr. Johnson was digging for himself. So, he leaped right into it alongside him. “Why are you asking all these questions?” he shouted up at my Opposition colleague and I. “What’s your figure?” he said jabbing his finger. I suppose picking an unnecessary row is one method of deflecting attention from a colleague’s dismal performance but it’s not necessarily a good one. It turned out Cllr. Loveday didn’t know the answers to those questions either. It is the job of oppositions in all democracies to hold those in power to account. I’m genuinely interested to see any evidence they used as a base for their conclusions. Going by Monday night’s performance, that is minimal at best. In fact H&F Conservatives are trying to end social housing in this Borough. They are removing over half of all people from the social housing waiting list. They are also ending the rights of others to get onto it. New tenants will no longer be secure in their homes as they will be evicted from two to five years. The council housing that does become available (and isn't sold off) will be let at near market rents which will exclude those hard working families even just above average incomes. From now on H&F Council will place the majority of the families, it has a legal requirement to help, into expensive private flats supported by housing benefits which will often be hundreds of miles from home. The Council is already signing up leases in places like Nottingham, Margate and Reading. Meanwhile, while supply is diminishing, those left on the social housing waiting list will struggle to get one of the handfuls of homes offered out each year. There is a housing crisis in London at the moment. At one end, the average twenty-something will be in their 50s by the time they buy their first home. At the other end, increasing numbers of people desperately try to overcome chronic overcrowding and homelessness and there are many different groups, such as key workers and young professionals, struggling to get a secure, decent home in between. There is a strategic urgency needed to fix this. Much of this rest at the door of the government and London Mayor. H&F Council's new Borough strategies could have a lot of influence too but do not even attempt to fix any of those problems. In Hammersmith and Fulham virtually no genuinely affordable homes to buy or rent are being built at the moment. There are no serious measures to improve conditions in the private rented sector. Instead, H&F Conservatives' housing strategy prioritises building new luxury flats for international investors often in new, ugly tower blocks detested by local residents. That's hardly the right approach which is why my Labour colleagues and I will change that if the public vote us into office in 2014. £40,000 is indeed random, and easily achieved by two people earning just a very low salary of £20k each. But a single pensioner may well have a personal income below £20,000 and have possessions accumulated over a lifetime making a studio flat unrealistic. 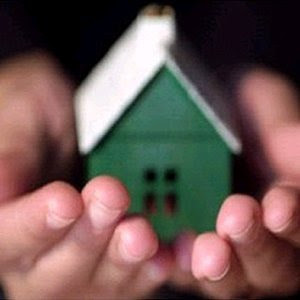 So much emphasis goes on first-time buyers that those who cannot buy are neglected. And right to buy in this context is an outrage, stripping a borough still further of what is invariably the more desirable properties. I long to see posters showing middle-aged parents saying "Right to buy did us OK, but where will our children live when they leave home?". We need to convey that there are always consequences to policies, most of them unwanted when it comes to Tory policies.